If you're fed up with limescale on your fixtures and dishes coated with white spots, it may be time to invest in a water softener. Get the cold, hard facts about hard water and what you can do to correct it. If everything you try to clean somehow ends up coated in a soapy film, there’s likely a rational explanation—hard water. Despite its alarming name, hard water happens to be a common phenomenon. It poses no health risks, but putting up with hard water can be, well, hard, because it affects the day-to-day life of the household in any number of ways. Your dishes might emerge from the dishwasher polka-dotted with hazy white spots. Fresh laundry can feel like sandpaper to the touch, and plumbing fixtures like faucets develop a chalky film. What’s going on here? Let’s trace the problem back to its probable cause. Before reaching the municipal supply, water absorbs mineral content from rocks and soil—and generally speaking, that’s a good thing. In the case of calcium and magnesium, however, it’s not. 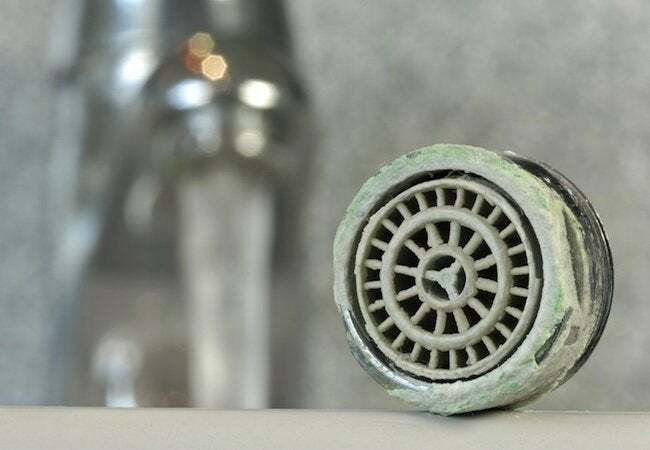 High concentrations not only make soap less effective, but also gradually lead to limescale buildup, which, when it occurs within pipes, reduces water pressure and flow (and the problem only gets worse over time). Hard water also negatively impacts the efficiency and lifespan of any appliance that requires water for operation. You may not mind replacing a coffeemaker ruined by mineral deposits, but what about your water heater? In addition to eliminating a slew of inconveniences, correcting a hard water problem can help prevent a variety of plumbing headaches that cost a bundle to resolve. Many homeowners never hear the term “hard water” until they’ve had to call in a service professional to make a repair. That’s unfortunate, because with hard water, it pays to be proactive. Keep an eye out for the telltale signs of hard water, of course, but even better is to conduct a little research. Start by contacting your municipality; many provide a free report detailing what’s in the local water. Alternatively, purchase a test kit online or at a home center. Different testing methods measure water hardness on different scales, either grains per gallon (GPG) or parts per million (PPM). Remember, the question isn’t whether or not your water contains any calcium or magnesium, but whether concentrations of those minerals are high enough to affect your life and damage your plumbing. While trace amounts are to be expected, water with calcium or magnesium levels at or above 7 GPG or 120 PPM officially qualifies as hard. If it turns out that your home has hard water, follow the lead of other homeowners in the same situation and consider installing a water softener. 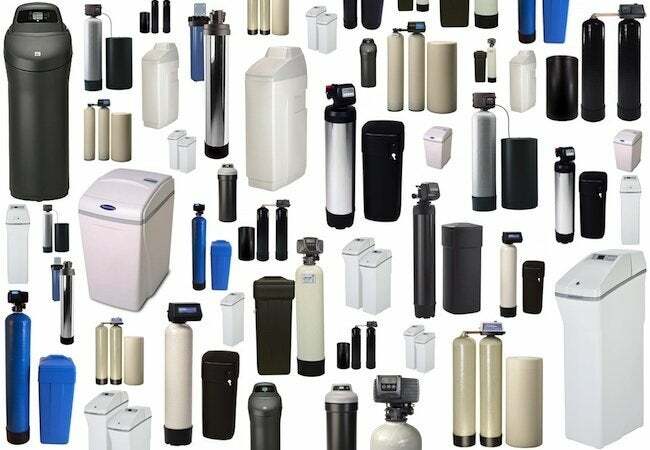 There are many water softeners on the market, but almost all rely on the same principle—ion exchange, a chemical process that substitutes sodium (sometimes potassium) for the minerals that make water hard. A conventional system includes two tanks. One holds a bed of resin beads saturated with sodium. As water passes through the tank, any calcium and magnesium in the water exchanges places with the sodium. When the minerals attach to the beads, the sodium that had been on the beads enters the volume of water. In this way, by the time household water exits the system, it’s no longer hard. Note: Water softeners add only trace amounts of sodium, a level safely within the recommended range for healthy individuals, but those with low-sodium diets may wish to opt for a salt-free water softener that employs potassium, not sodium. Another reason to choose a salt-free water softener is that sodium can be detrimental to plants. If you’re worried about the consequences of using softened water on your landscape, you can go salt-free or, as a budget-friendly alternative, connect a regular salt-based water softener to the hot water line only, while continuing to use (cold) hard water outdoors. Over time, the resin bed becomes flush with the minerals that have been drawn out of the hard water. At that point, the water softener must go through a “regeneration” cycle, during which the second tank pumps sodium-rich water into the first tank, restoring the resin beads to their initial sodium-saturated state. Upon completion of the cycle, the first tank returns to regular operation, softening the household water that passes through it. Whether or not the system provides water softening during regeneration—and whether it’s a manual or automatic process—depends on the sophistication of the appliance. Fully automatic water softeners are the most expensive, but features alone do not dictate price. Size matters too. The correct size for a given home takes into account daily water use as well as the hardness of the water. A simple sizing calculation involves multiplying the number of household members by the number of gallons used per person, per day. Next, multiply the number of gallons consumed by the grains per gallon (GPG) figure. Then to accommodate for regeneration and days of heavy use, multiply your total by three. For the average four-person home, experts recommend a capacity of 33,000 GPG. One last caveat: While a water softener can protect your home and make it more livable, there’s a difference between a water softener and a water purifier. If you’re unsure about the safety of your drinking water, contact your local health department, test it yourself, or send out a sample for to be expert-tested.